A shocking video showing, Drake kissing and fondling a 17-year-old girl during concert in the year 2010 has emerged and is sparking a lot of reactions. 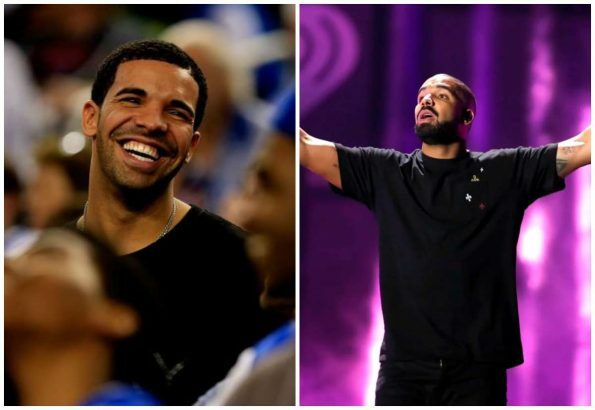 The disturbing video which surfaced on Twitter sees Drake taking a break from performing, and welcomes a female fan up on stage from the audience. He goes on to kiss her body and lightly fondles her breasts, as the audience hoots and hollers with approval. After, he asks her how old she is. When she says she’s 17, the crowd erupts in laughter—as if it’s all some kind of joke. Drake then kisses her face several times again before bidding her adieu. Drake was in his early 20s when the video was shot, but that doesn’t excuse his behavior whatsoever. The rapper is not likely to dignify his past behavior with an official response- but that won’t prevent the video from reaching the critical mass, as it continues to gain traction on Twitter at every waking hour.